The Halifax Junior Bengal Lancers (Lancers) is a not-for-profit equestrian club in downtown Halifax that was established in 1936. Programs for riders under the age 18 include summer camps, beginner courses, the “rides” of the junior membership, competitive shows, and the famous Musical Ride. There are beginner and advanced classes for adults, and it is possible for junior riders to move into the adult rides when they turn 18. 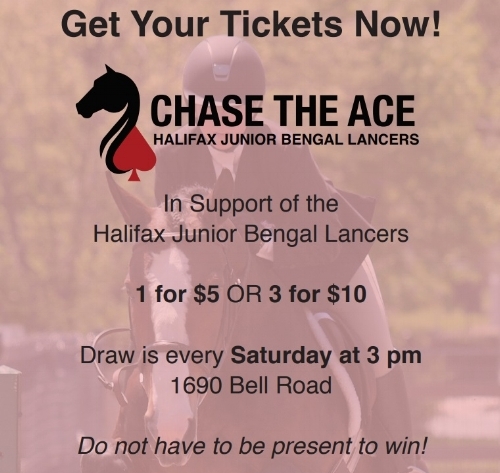 Support Lancers through Chase the Ace! The location of the barn and the Lancers’ history are untapped Halifax treasures”.